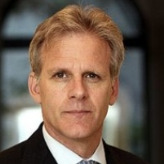 In order to become Israel’s ambassador to the United States in May 2009, U.S.-born scholar Michael B. Oren had to relinquish his American citizenship, because the Jewish state does not allow dual citizens to represent it overseas. When newly-elected Israeli President Benjamin Netanyahu picked Oren, it seemed a surprising choice because Oren had publically opposed important elements of Netanyahu’s policies. For example, unlike Netanyahu, Oren has spoken in favor of Israel’s unilateral withdrawal from Gaza and withdrawal of Israeli settlements from the West Bank. However, the conservative Israeli president may have felt he needed a more liberal face for his government in the United States given that in the just-completed 2008 U.S. presidential election, Jewish voters had backed Democrat Barack Obama over Republican John McCain by a crushing 3-1 margin. Born in upstate New York in 1955 as Michael Bornstein, Oren grew up in a conservative Jewish family that included a father who served in the U.S. Army during World War II (including taking part in the D-Day invasion of Normandy) and in the Korean War. His father was the director of Newark Beth Israel Medical Center. Oren’s childhood was spent in West Orange, New Jersey, in a Catholic neighborhood where he experienced anti-Semitism on a regular basis. He was active in Zionist youth groups and, at 15, Oren made his first trip to Israel with youth movement Habonim Dror, working on Kibbutz Gan Shmuel. He also represented the United States at the Maccabiah Games as a rower. He completed his undergraduate degree from Columbia University in 1977. He continued his studies at Columbia, receiving a Masters in International Affairs in 1978, and then spent a year as an adviser to the Israeli delegation to the United Nations. That same year, Oren took Israeli citizenship and changed his name (Oren means “pine tree” in Hebrew). In 1979, Oren immigrated to Israel and joined the Israel Defense Forces (IDF). He served as a paratrooper in the 1982 Lebanon War, during which his unit was caught in a Syrian ambush. His commander was killed and nearly everyone was wounded. He then joined a unit stationed in Sidon. Oren married in the summer of 1982 and returned the next day to Beirut. A few years later, he returned to the U.S. to continue his education, studying at Princeton University and receiving his PhD in Near East studies in 1986. Oren again served in the IDF, during the 1991 Gulf War as a liaison officer to the U.S. Sixth Fleet. In 2006, he served as an army spokesman in the IDF Reserves during the Israel-Lebanon War. That same year he was a visiting professor at both Harvard and Yale universities. He continued teaching at Yale in 2007. Oren became a visiting professor at Georgetown University’s School of Foreign Service for the 2008-2009 academic year as part of the faculty associated with the Program for Jewish Civilization. During the 2008–2009 Israel–Gaza conflict, he was a media relations officer for the IDF. He has been a Distinguished Fellow at the Shalem Center in Jerusalem and a contributing editor to the New Republic and The Shalem Center's quarterly journal, Azure. Oren has published books, articles and essays on Middle Eastern history, and is the author of the best-selling Six Days of War: June 1967 and the Making of the Modern Middle East (2002). His other books include The Origins of the Second Arab-Israel War: Egypt, Israel and the Great Powers, 1952-56 (1992) and Power, Faith, and Fantasy: America in the Middle East: 1776 to the Present(2007), as well as a novel, Reunion (2003), and Sand Devil, a collection of three novellas. Oren and his wife, Sally, have three children.